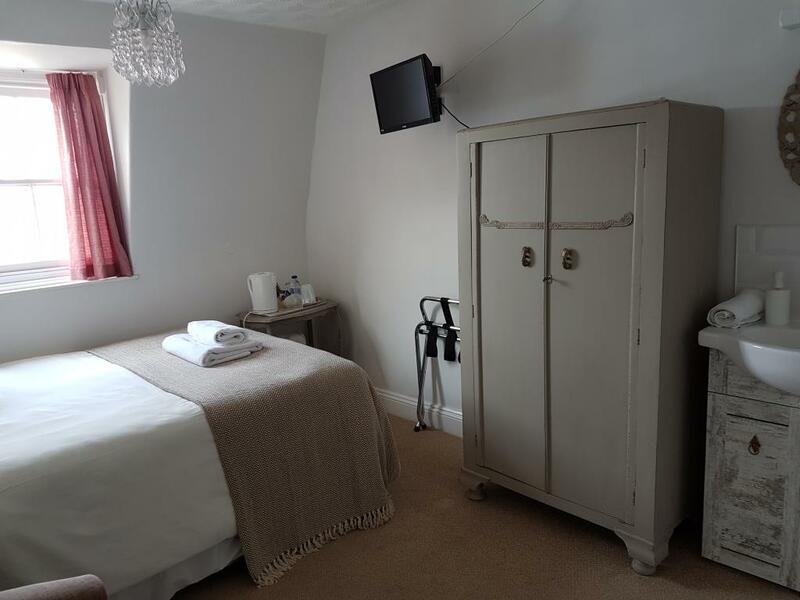 All bedrooms have TV's and hairdryers. 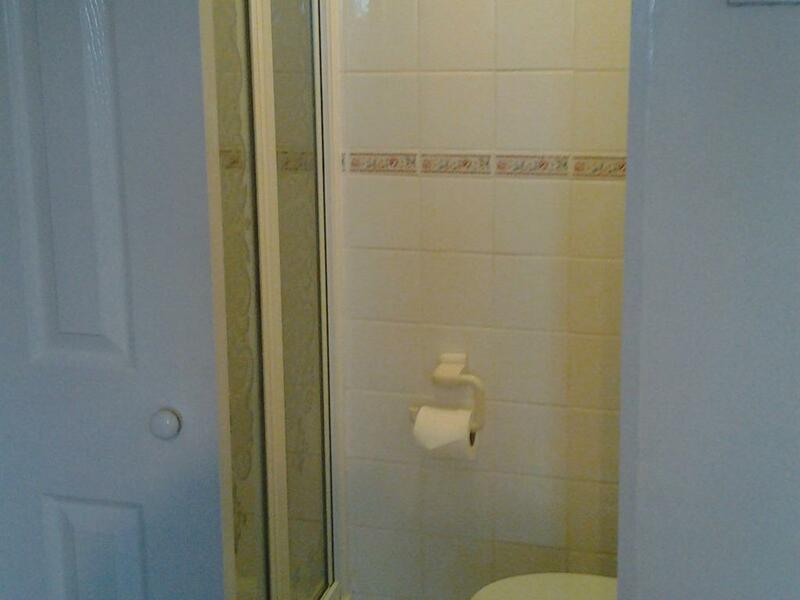 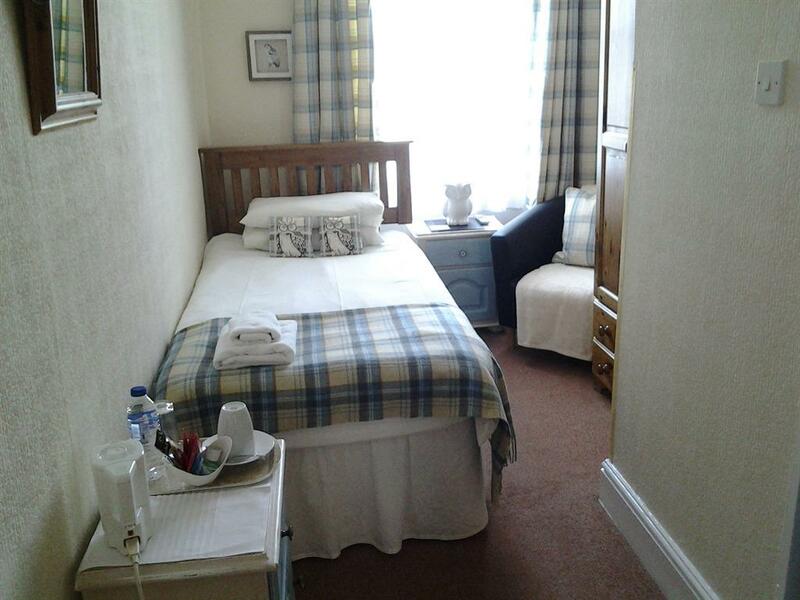 We have three double rooms. 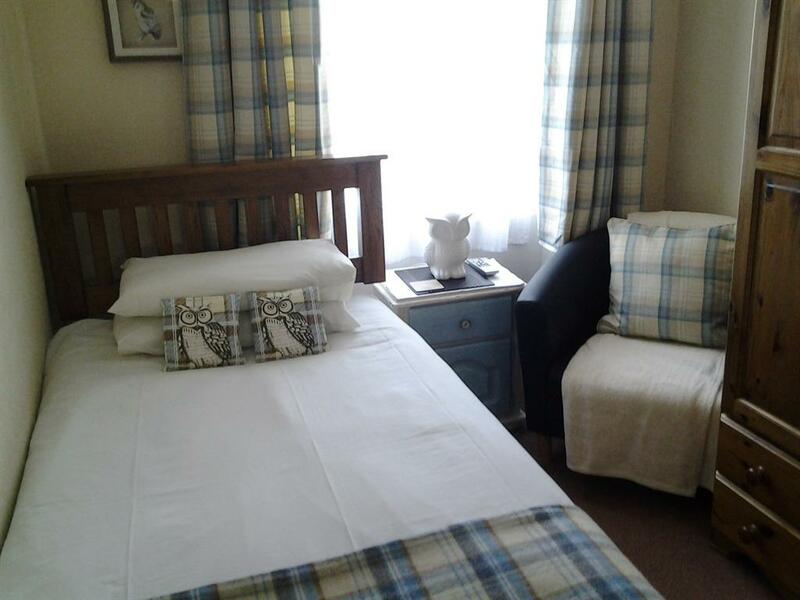 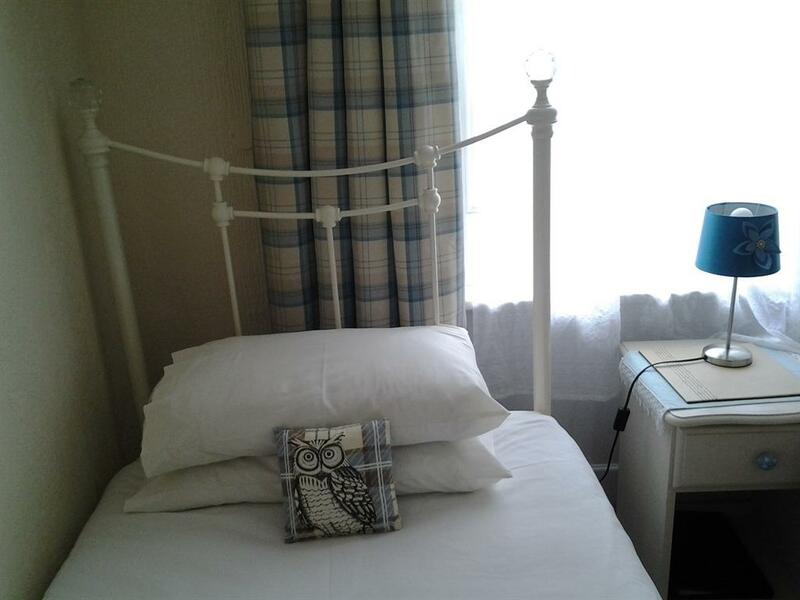 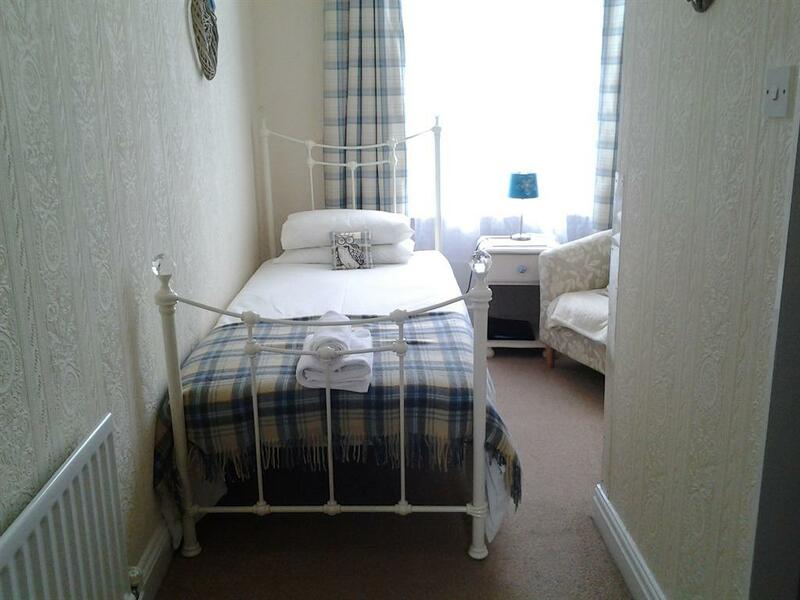 Room 5 is on the second floor and has a large bay window.The room has been refurbished and boasts a large shower. Room 4 on the second floor a large comfortable room with seating area overlooking the pretty gardenThere is a small but modern en-suite shower. 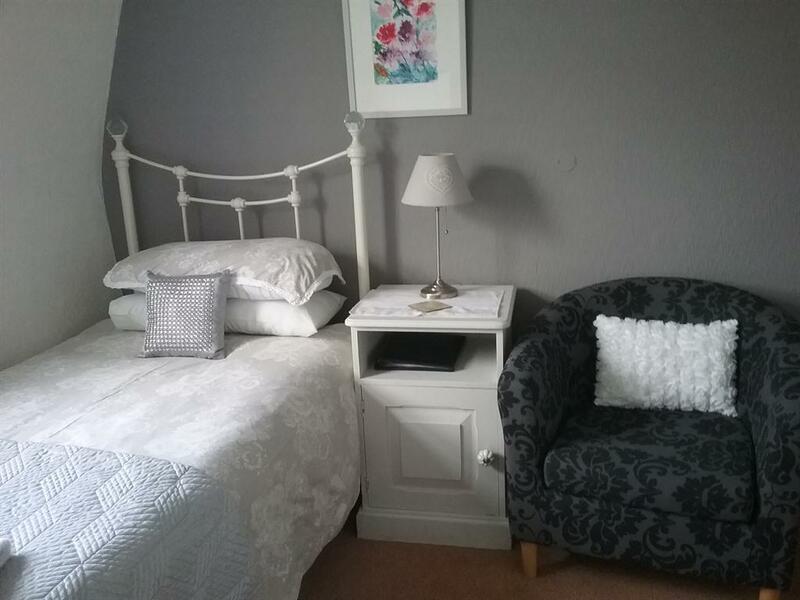 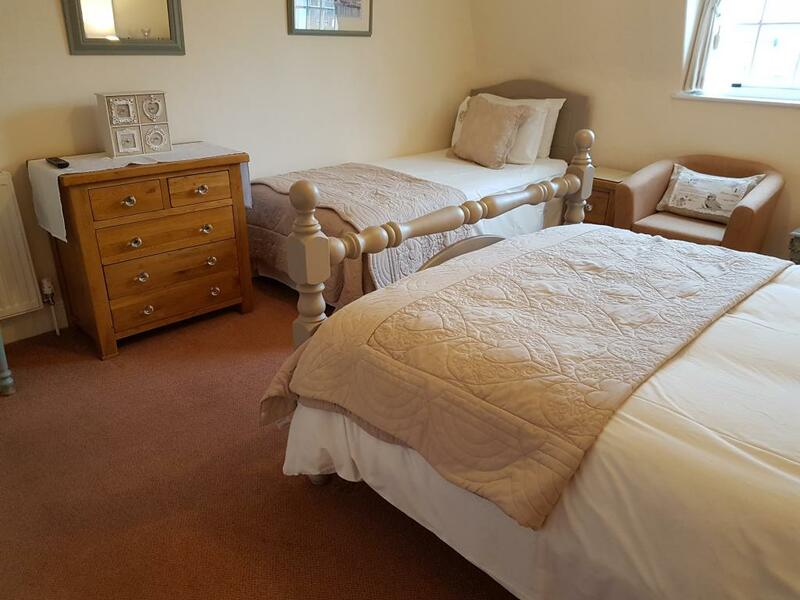 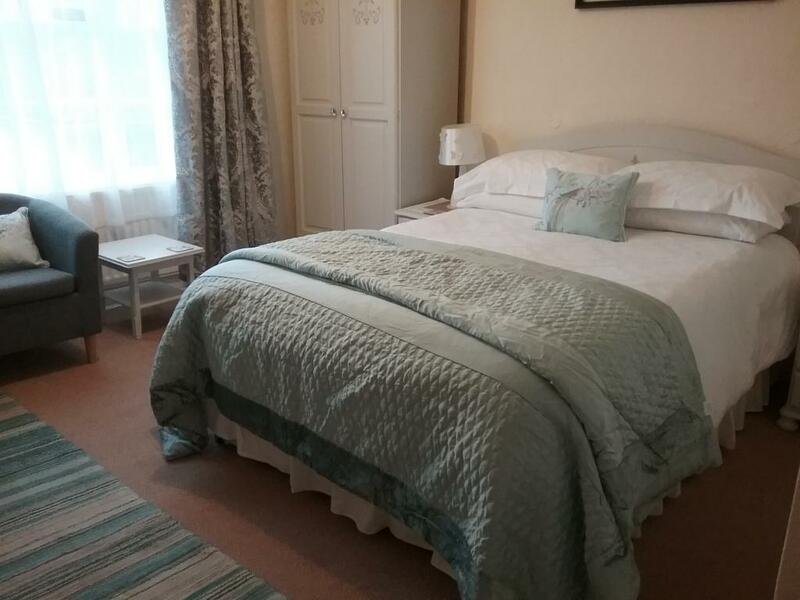 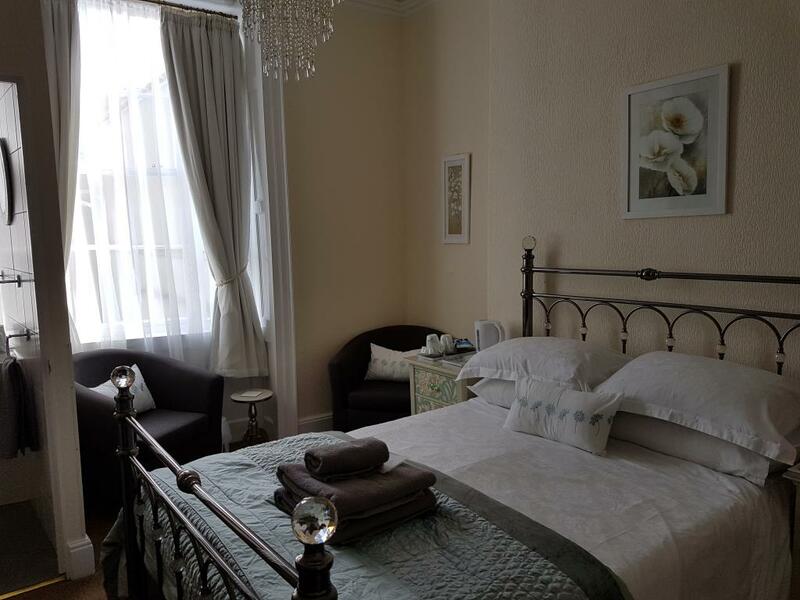 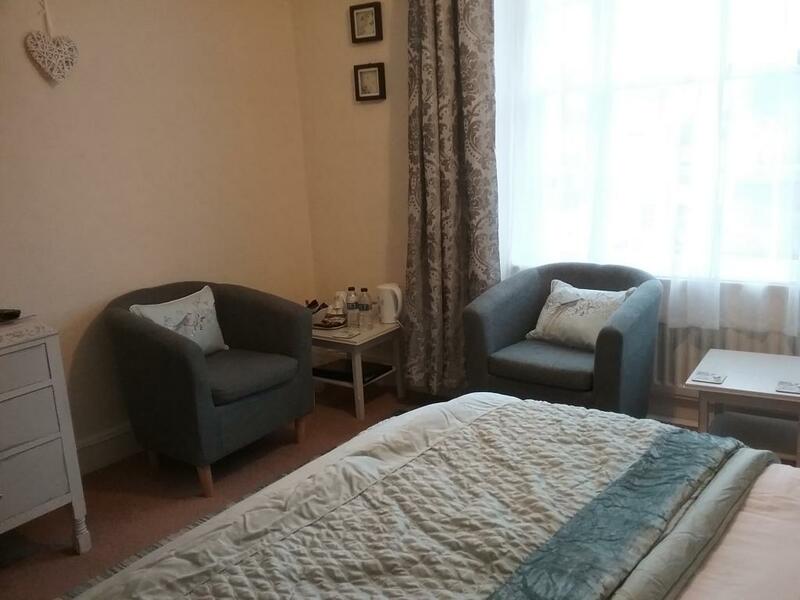 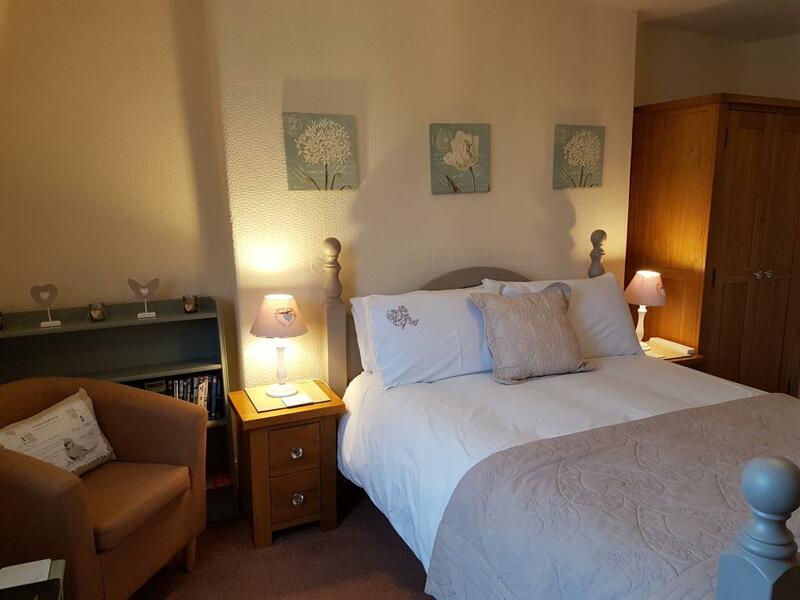 Room 2 is on the 1st floor, it is a spacious double with a seating area in the bay window overlooking the pretty garden and has a romantic brass bed and a modern en-suite shower. 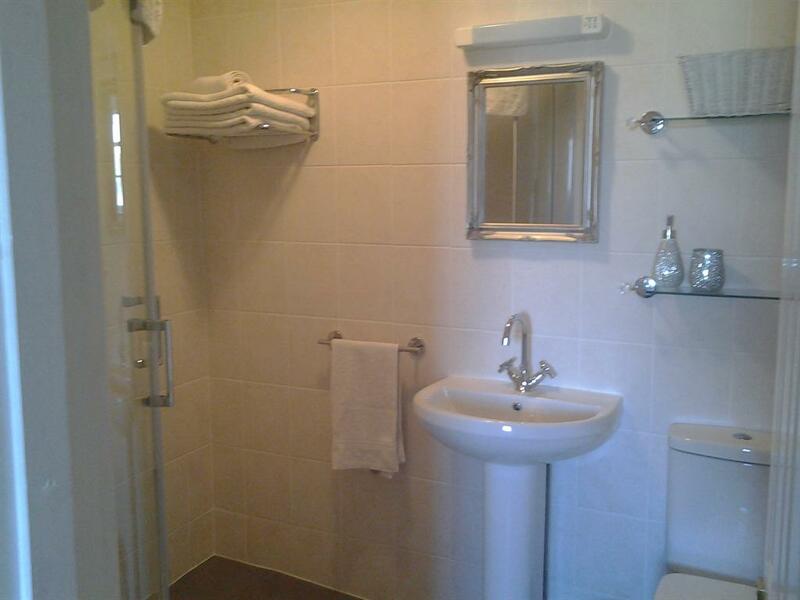 All bedrooms have TV's and hairdryers. 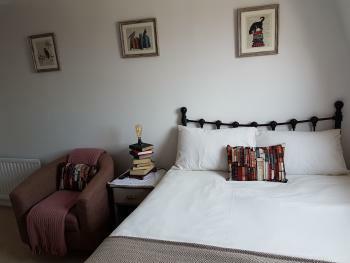 .Room 8 and 9 are cosy large single rooms on the third floor. 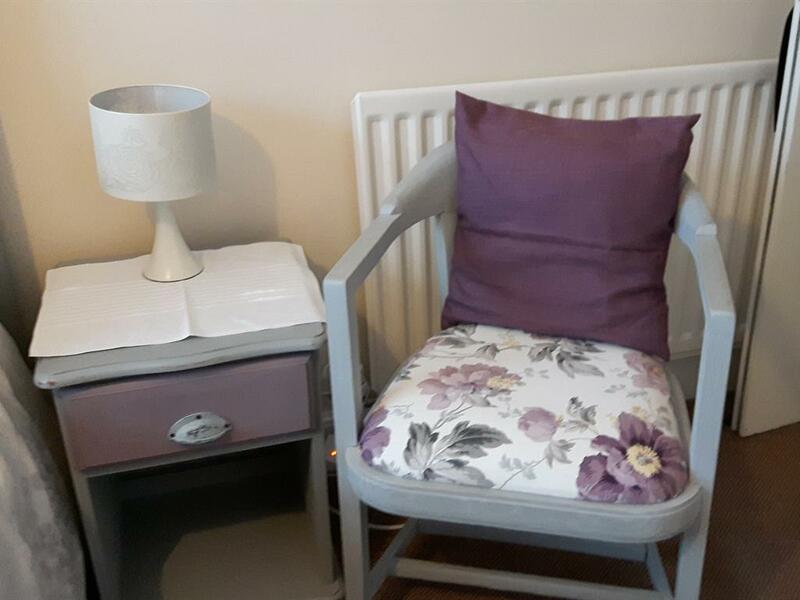 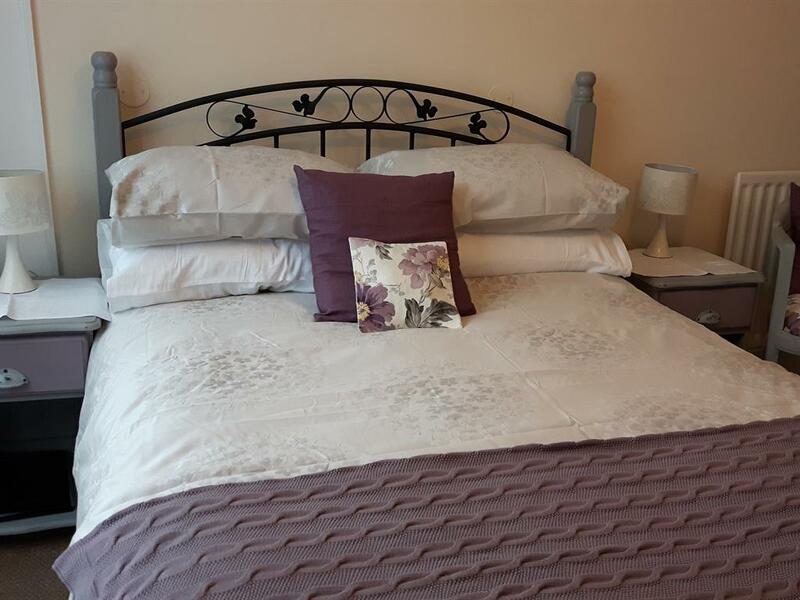 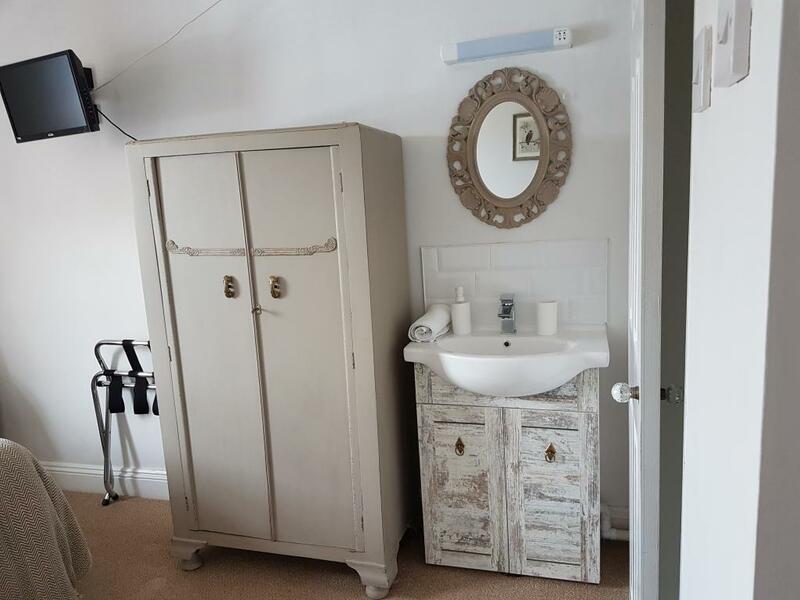 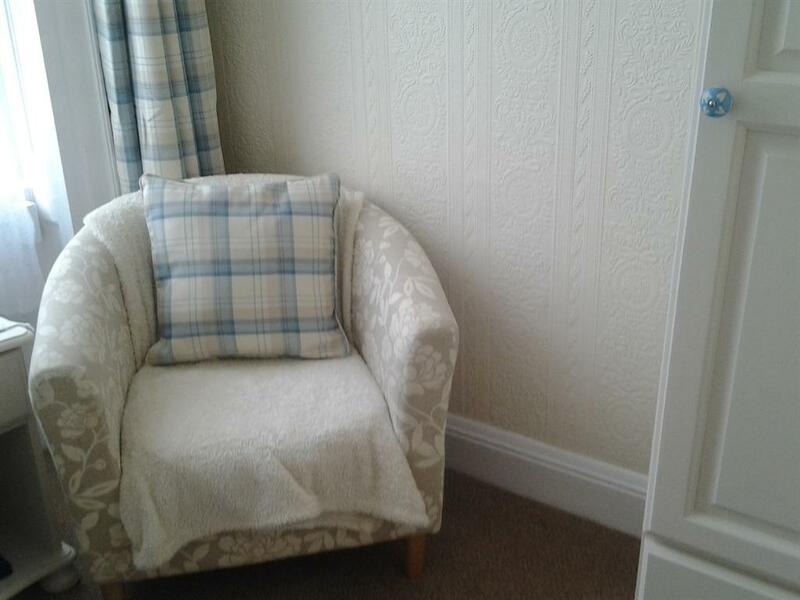 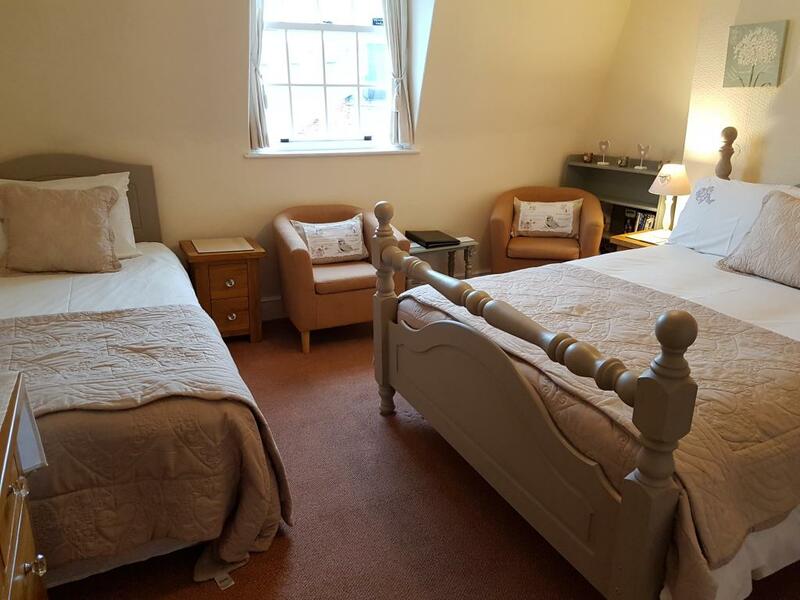 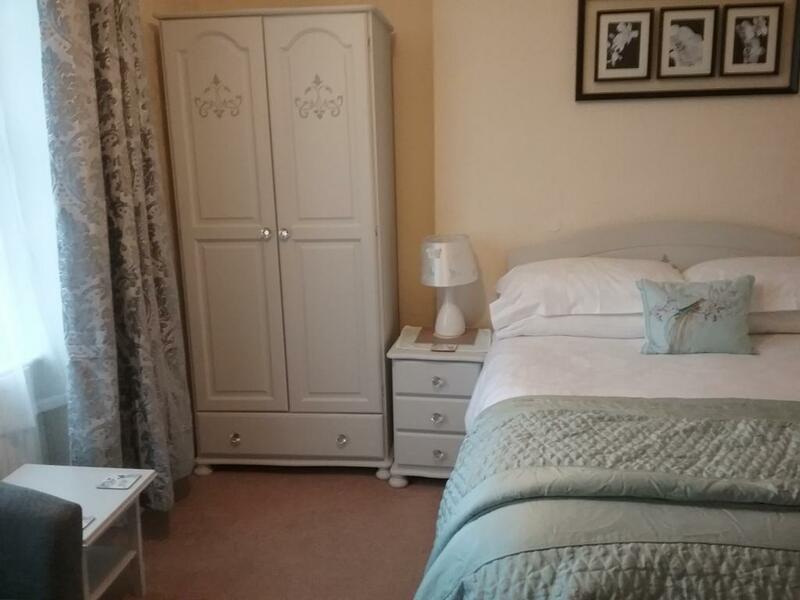 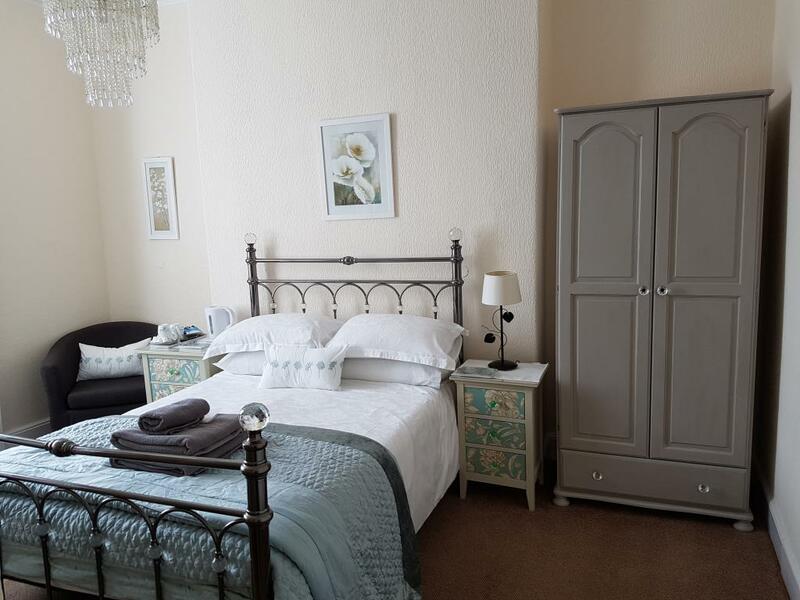 .They have lovely views overlooking the roof tops of Weymouth and have their own small en-suite shower room.Room 9 boasts a small double bed great for the singles who like extra room in bed. 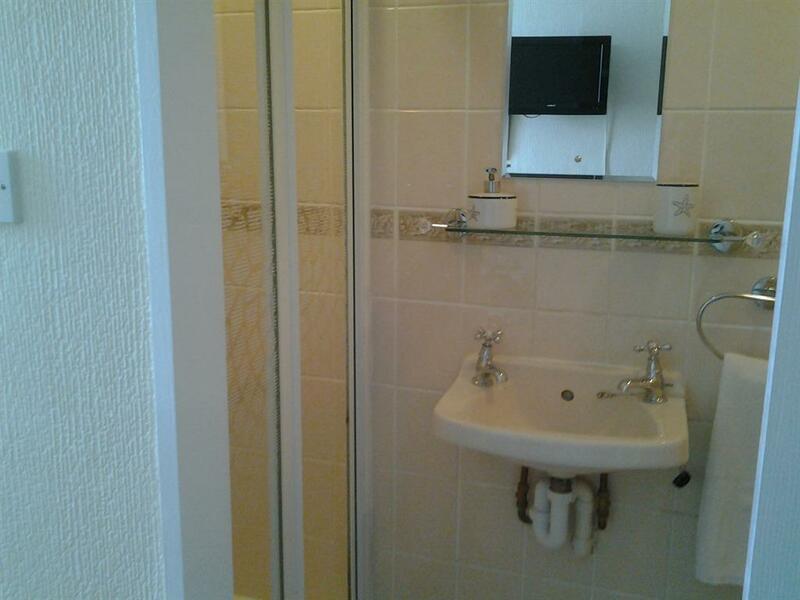 All bedrooms have TV's and hairdryers. 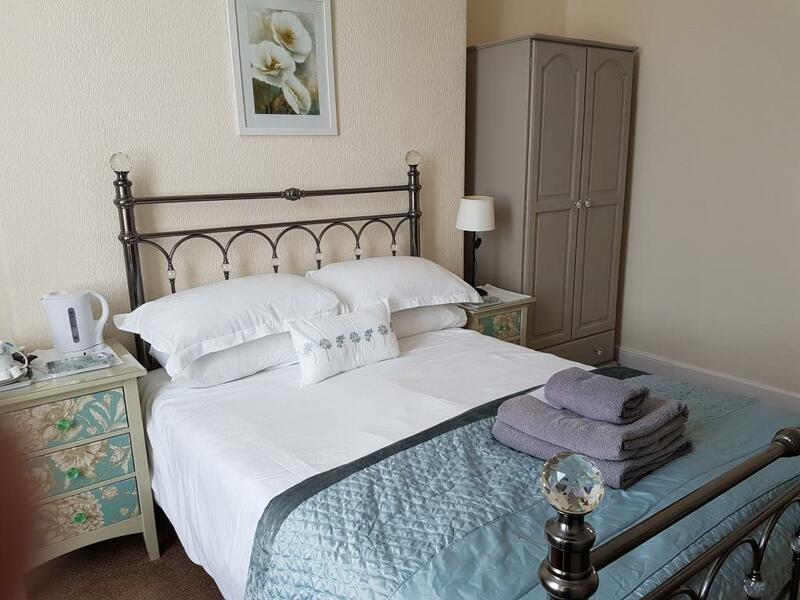 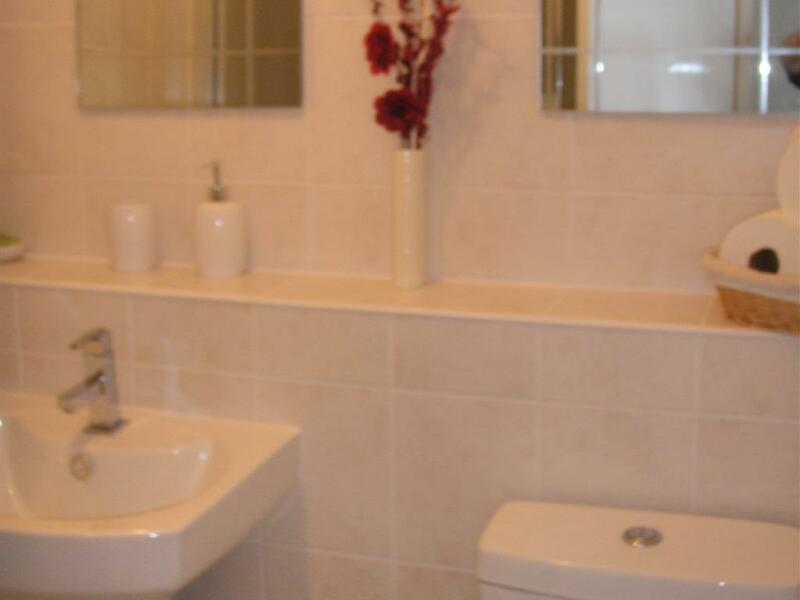 Room 3 is our single room on the first floor and is comfortably furnished with its own en-suite shower room. 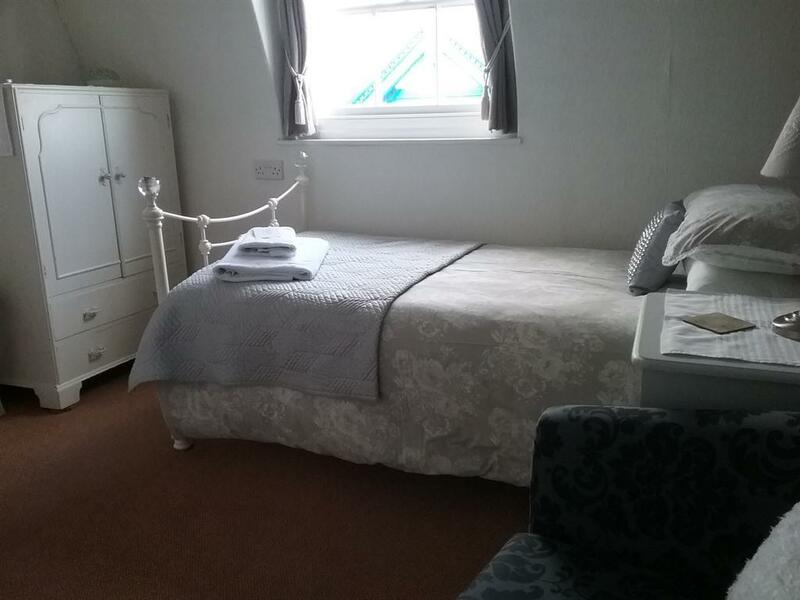 Room 6 is identical but is on the 2nd floor. 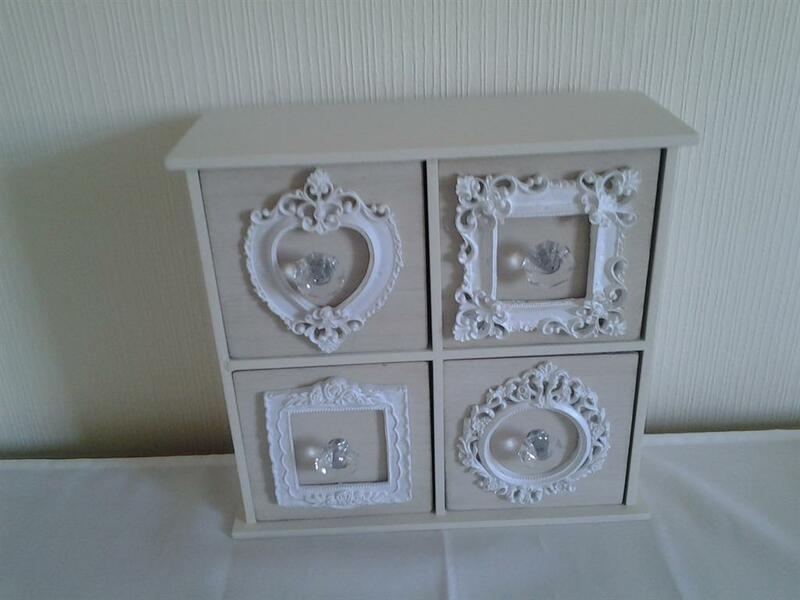 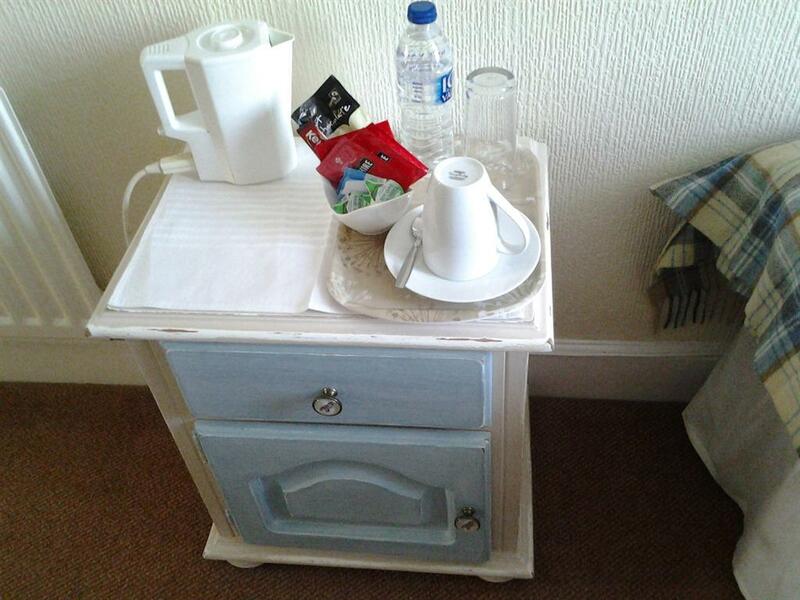 There is a double and a single bed double bed, flat screen TV and tea and coffee making facilities. 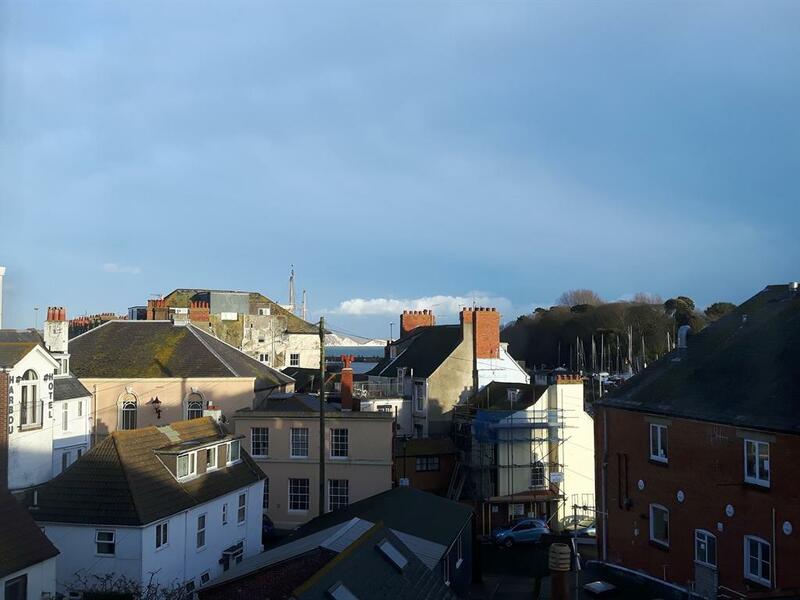 Views over the harbour .This room is on the 3rd floor.